In one of the world’s most liveable cities, and arguably its windiest, there are tough choices for prospective first-time property buyers in Wellington, where real estate prices soared by more than 18% in the year to June 2017. For Sam, a mother in her thirties, the decision was unenviable; a baby or a house. Last year, national median average house prices increased by 5.8% to 550,000 New Zealand dollars ($405,000; £290,000), while in Auckland, the country’s most expensive city, they rose by 1.8% to NZ$870,000, according to the Real Estate Institute of New Zealand. The new Labour-led government blames, in part, foreigners for runaway prices that have squeezed many Kiwis out of the market. It wants to ban non-residents from purchasing existing residential properties and farms. “I am trying to protect New Zealanders against some of the excesses of global capitalism,” trade minister David Parker said. Chinese investors have been among the biggest offshore buyers, and political commentator Bryce Edwards says a ban on foreign purchasers reflects a degree of intolerance in the community as well as concerns about the super-rich. “Ever since the global financial crisis of 2008 there has been a bit more radicalism in New Zealand politics. There’s been much more focus on inequality (and) more concentration on the wealthy as maybe a source some of our problems. Twenty-five years ago, about three-quarters of Kiwis owned their own homes; now it’s 64% and falling. Norman Gemmell, the public finance chair at Victoria University, believes there are sound reasons to shut the door on property speculators from overseas. “There is a sensible economic argument that says: if lots of foreign investors are looking to put their cash into New Zealand, if it then forces up the price of property, you should think about what is the right way to allocate your domestic housing stock. Other countries have taken measures to restrict foreigners’ ability to buy property. Switzerland, for example, has had restrictions in place since the 1960s, Singapore and Hong Kong both impose extra taxes on foreign buyers, and Vancouver in Canada introduced a surcharge in 2016. Critics of the populist measure in New Zealand say it will affect only a small part of the property sector, and won’t improve affordability. There are concerns, too, that non-residents could circumvent the rules by getting friends and relations to buy on their behalf. But arguments on both sides are muffled by a lack of precise data about how much of a grip international buyers have on the country’s housing market. “The best evidence is that they are responsible for about 3% of purchases and about 2% of sales, so the net effect is about 1%,” says Steven Joyce, the opposition’s National Party’s finance spokesman. A lack of supply has also played a part, as has immigration: the annual net migration rate is 70,000 people, or about 1.5% of the population. Restrictions on foreign ownership could also stem the flow of those with very deep pockets – including the US tech entrepreneur and Trump adviser, Peter Thiel – who have looked for citizenship and sanctuary in this corner of the Pacific. 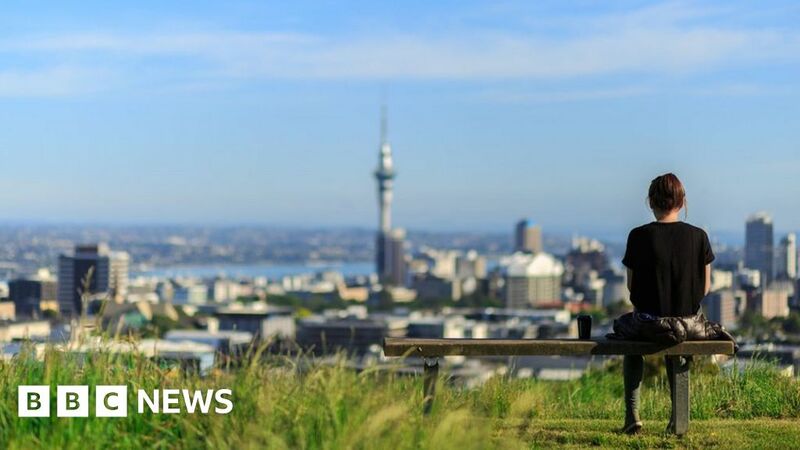 “High profile, very wealthy people from the northern hemisphere have sought to gain access to New Zealand residency as a bolthole and there have been reasons, of course,” says professor Paul Spoonley of Massey University. But the adventures of the ultra-rich matter little to those who see the Kiwi dream of owning a home slipping away. “I rent and it is expensive,” one weary house-hunter tells me in Wellington.